The Mrs. Yoy Blog: Hold my hand! I'm in the middle of changing an epic Big E diaper. He's wiggly, it's messy, I'm gagging. He looks at me and shouts: HOLD MY HAND! What? Right now? How will I escape this diaper change unscathed and hold your hand? Besides, the Yoys are not hand holders, just ask Mr. Yoy. He repeats his request: HOLD MY HAND! HOLD MY HAND! HOLD MY HAND! HOLD MY HAND! 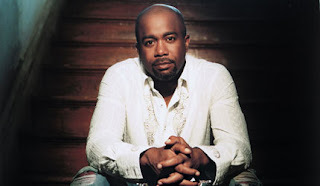 Wow, this is what it must have been like to change Darius Rucker's diapers when he was a baby.